Specifically to promote bright, even skin tone. 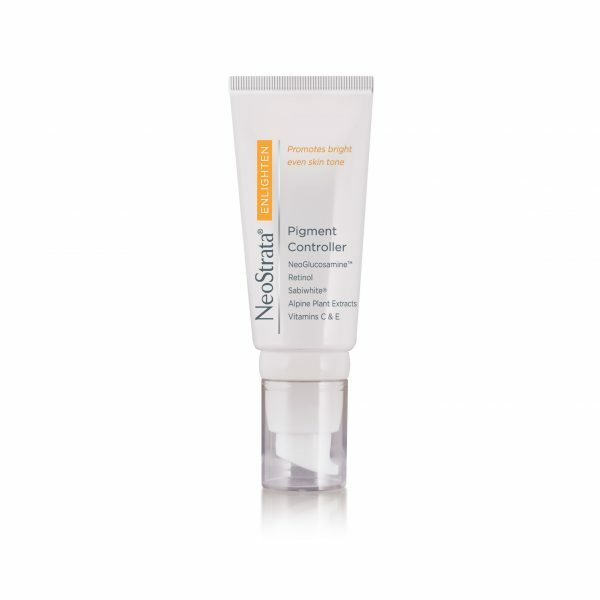 NeoStrata Pigment Controller is designed to reduce the production of melanin within the skin, to not only improve the appearance of existing discolouration but to prevent future dark spots from forming. NeoGlucosamine, Retinol and a blend of seven Alpine Extracts work together to exfoliate damaged cells and even out the skin, while optical diffusers instantly brighten dull areas, resulting in clearer and more youthful looking complexion. 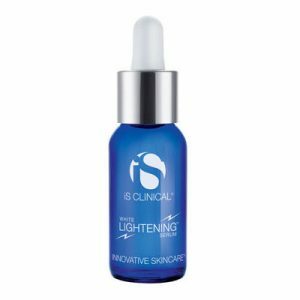 An advanced formula with clinically proven technologies to control pigmentation and prevent new dark spots from forming. 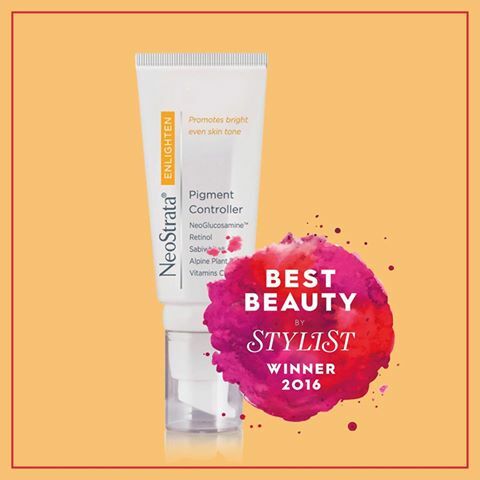 We are pleased to announce that #NeoStrata Pigment Controller has won a Stylist Magazine Best Beauty award for best pigment controller! 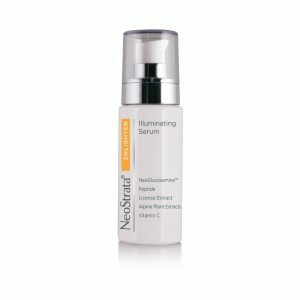 NeoStrata Enlighten Pigment Controller is an advanced formula with clinically proven technologies to control pigmentation and prevent new dark spots from forming. Synergistic combination of highly active benefit ingredients increases cell turnover and diminishes appearance of skin discolouration: Patented NeoGlucosamine™, Retinol (0.01%) Stabilised Vitamin C.
• Contains alpine plant extracts and SabiWhite, a proven alternative to prescription strength hydroquinone* to help prevent new dark spots from forming. Apply to the face and neck once a day after cleansing with NeoStrata Enlighten Ultra Brightening Cleanser, once the skin has acclimatised to the product, it can be applied twice daily. Daily use of a sunscreen is recommended as part of a healthy skincare regime. NeoGlucosamine 6%, SabiWhite® 0.25%, Retinol 0.1%, Ascorbyl Glucoside 1%, GigaWhite® 1% 7 alpine plant brighteners: Malva Sylvestris (Mallow) Extract, Mentha Piperita (peppermint) Leaf Extract, Primula Veris (Cowslip) Extract, Alchemilla Vulgaris (Lady's Mantle) Extract, Veronica Officinallis (Speedwell) Extract, Melissa Officinalis (Lemon Balm) Leaf Extract, Achillea Millefolium (Yarrow) Extract, Vitamin E 0.5%, Nylon 12.